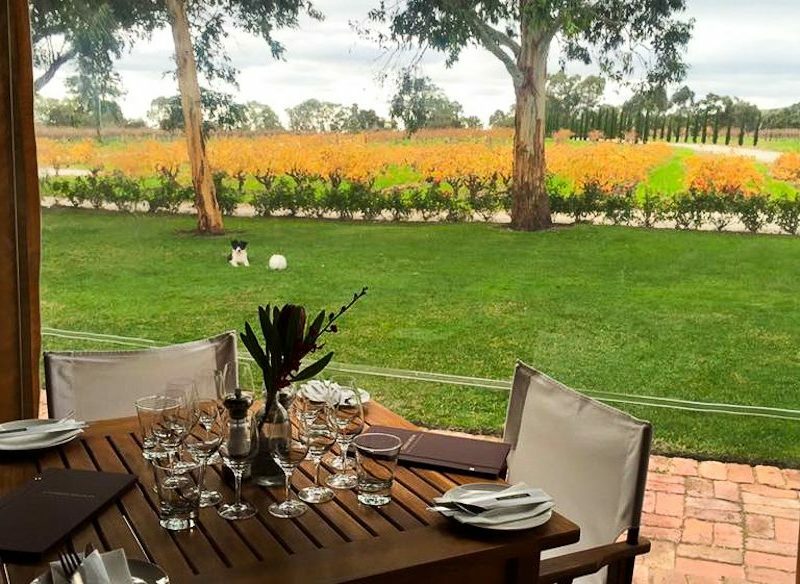 Great lunch option Charles Melton winery (photo: Roshan Lewis). The Barossa is legendary for its quality wines, but when you need to refuel, you will also find a wide variety of food to sample in the region’s foodie hub, Tanunda, writes travel blogger and Australia Traveller reader Roshan Lewis. If you are after a quick, good value and easy stop before you head off for a day of wine tasting, I recommend the Tanunda Bakery and Café (opens 7:30am every day except Sunday). From cheese kransky to apricot streuselbun, you can find all that you need at this traditional German-style establishment, including that early morning coffee or a packed sandwich to take away for lunch. My favourite: the pretzel roll. Lazy breakfast choice, Red Door, Tanunda (photo: Roshan Lewis). Red Door Espresso on Murray Street (closed Tuesdays) serves a quality selection of the usual bacon and egg dishes, and plenty of healthy options like toasted muesli and freshly squeezed juice concoctions. My must-try item: the Peppermint Paddy gourmet hot chocolate. That kitchen… Maggie Beer’s (photo: Roshan Lewis). Maggie Beer’s Farm Shop in neighbouring Nuriootpa (less than 10 minutes’ drive) is the place to stop in the Barossa – to see that famous kitchen and the newer function centre with its surrounding nature walks. It is also good for a good value picnic-basket lunch option. Try one of Maggie’s famous pates in the surrounds of the lake, with ducks waddling around you. Open daily 10:30am to 5pm. Free verjuice making demonstrations at 2pm. Build your own platter at Whistler Wines Larder (photo: Roshan Lewis). Whistler Wines at nearby Marananga (less than 10 minutes’ drive) has a very clever build-your-own platter larder with olives, salami, cheese and biscuits from local providers. Open seven days a week, the winery is very family-friendly with picnic areas and a variety of play equipment. 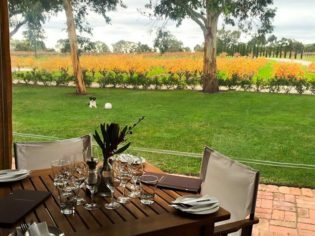 A great mid-range lunch dining option is Charles Melton winery in Krondorf (10 minutes’ drive south), which offers lovely goulash and chicken roulade. Lunch is served on the verandah with views of the vines from noon to 3pm daily. Start with a wine tasting and I chose the 2008 sparkling red to accompany my meal. On the recommendation of another mum with absent toddler at the Whistler cellar door, we went to 1918 Bistro & Grill in Tanunda. The restaurant is in a converted house, the staff are lovely and it is often packed. My double-sized portion of pork belly was almost too big, as were the scotch fillets; but we still found room for the confit kipfler potatoes and desert. To die for: The mojito sorbet that comes with the raspberry and pomegranate brulee. Book early for Ferment Asian, in a converted house on Tanunda’s main road, and try the chef’s tasting menu. Chef owner Tuoi Do is Vietnamese and her partner in life and business, Grant Dickson, works for Rockford Wines. The wine bible is very extensive and the food tasty, varied and great value. I tried fresh betel leaves with caramelised Berkshire pork, followed by Hanoi spring rolls and scallops served in the shell with all those lovely Asian lemon grassy herbs and spices. Next was grilled South Australian squid with fresh coconut salad and then pork belly. My favourite dish was the unusual Wagyu beef peanut curry. We forfeited one of our seven dishes for two desserts and came away impressed.